From the ‘Gr8 reads’ series for 10-16 year-olds struggling with reading, these come with all the Barrington Stoke hallmarks – cream paper, double-spaced, clear type and a simple style designed to hook in dyslexic or reluctant readers. The striking covers – black, with a one-word title and one dramatic image – and tense themes are clearly designed to appeal to the cool young teen market. 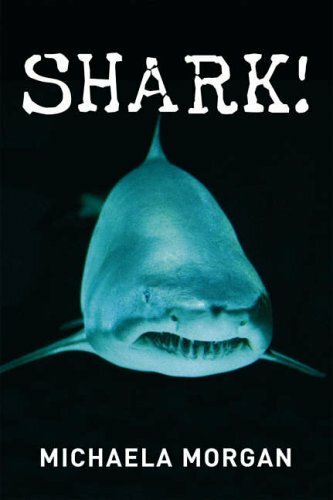 In Shark , set in an exotic resort, Mark’s passion for sharks and his knowledge of them helps him save his friend from an attack and to fulfil his dream of a job in a shark park. 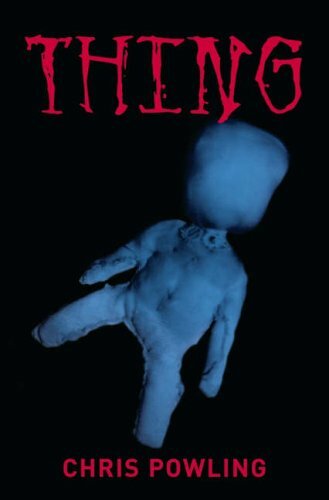 Thing is altogether eerier, and much more interesting psychologically; the ‘thing’ in question is a strange, unexplained soft toy, which the storyteller cannot get rid of, a recurring, haunting nightmare that will eventually subsume him. Marks’ illustrations work well here but the effect of the ending is spoilt by turning the page to find, rather than a blank page heightening the suspense, adverts for more books. Although I applaud the intention of these books, and am sure that when they find their market they are popular, I have never found them appealing to the young dyslexic people I teach. The stories are too short to be really engaging; perhaps too ‘schooly’. The youngsters I work with want to read Alex Rider, Charlie Higson and Jacqueline Wilson, and are prepared to tussle with the more complex structures and longer texts in order to be upsides with their peers. I’d love to try them with readers for whom reading is more of a school task and not something they see done widely in their peer group. Then the tension and the glimpses of other worlds might make their mark.